In our previous article, Android NDK: The Interaction Between Kotlin and C/C++, we shared the results of our research into the Android NDK (Native Development Kit). In that article, you can find out how to set C/C++ and Kotlin interaction. We showed how Kotlin can invoke C/C++ code with any data types. We also converted String instances and passed Kotlin objects to native code, called functions, and threw JDK (Java Development Kit) exceptions. Now it’s time to move to the practical part working with the Android NDK. In this article, we’ll dive deeper into the topic of working with Kotlin in the Android NDK and will tell you how to call Kotlin from native code. 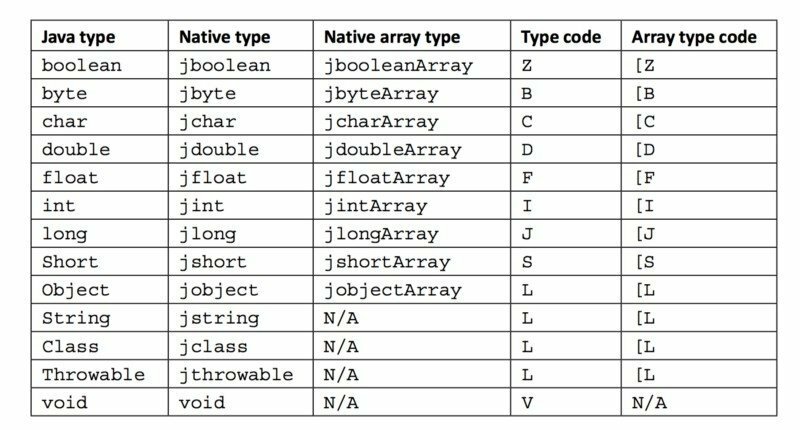 Why do you need to call Kotlin from native code? 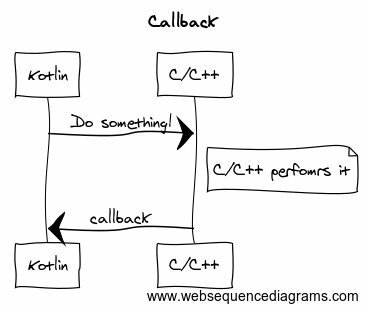 The most obvious reason to call Kotlin from native code is for callbacks. When you perform an operation, you need to know when it’s done and receive the result of that operation. This is true whether you work with Kotlin or the JNI (Java Native Interface). In this article, we’ll give examples of how to find out when a new value is persisted to memory. We showed how a new value is created in one of our previous articles. The JNIEnv pointer contains many functions to deal with static fields. First, you have to get the ID of the static field using the jfieldID GetStaticFieldID(JNIEnv *env, jclassclazz, const char *name, const char *sig) function. 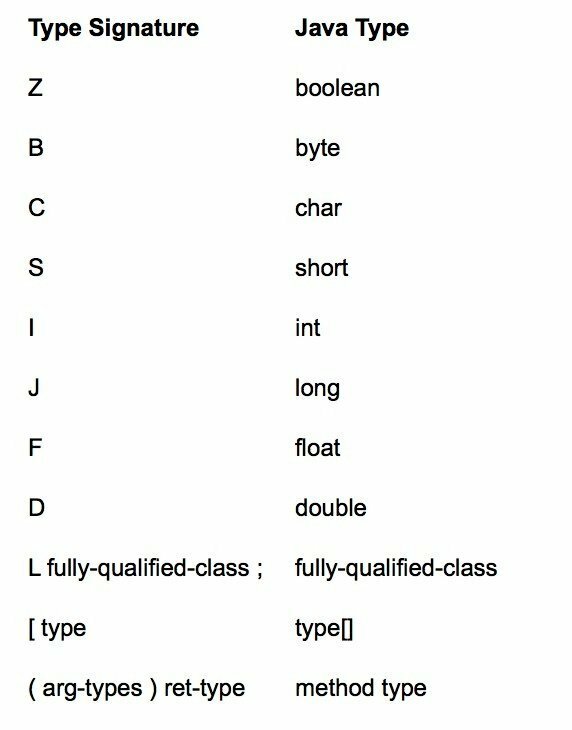 In the picture above, the compiler generates a private static field in the Store class. The Store class contains fields with the private modifier. You can’t access those fields from the Store class. But with the JNI, you can access the values of those fields even if the private modifier is set. If you just create this field in a simple class, you get an exception: java.lang.NoSuchFieldError: no “I” field “static” in class “Lcom/ihorkucherenko/storage/Store;” or its superclasses. If you use the Int? type, you also receive this error. To avoid this error, follow the instructions below. 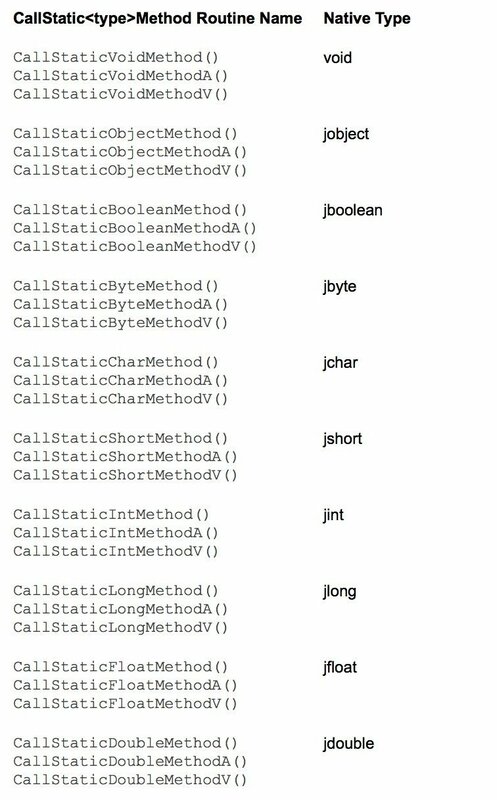 To get the ID of a static method, you have to usejmethodID GetStaticMethodID(JNIEnv *env, jclass clazz, const char *name, const char *sig). Let’s try to invoke static methods. Pay attention to the (I)I. This is the JNI’s representation of the type signature. You should point the return type after parentheses. Similarly to the previous code examples, you should use functions to retrieve the ID of the field and value: jfieldID GetFieldID(JNIEnv *env, jclassclazz, const char *name, const char *sig). 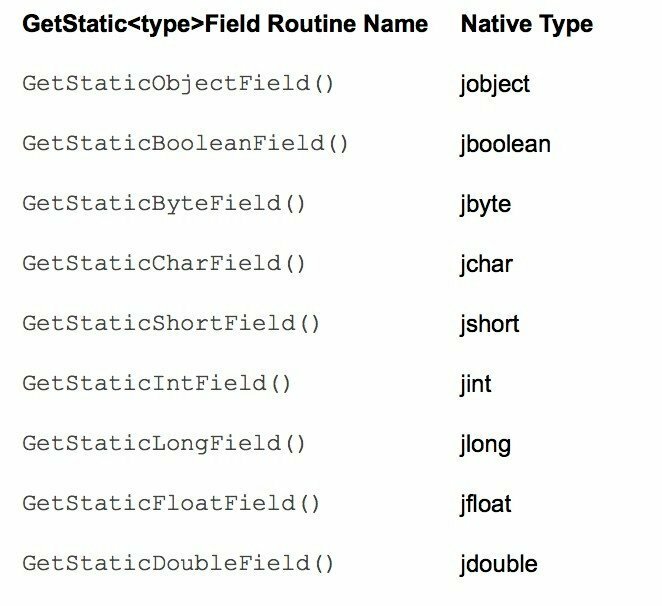 The difference between calling static and instance methods is that for instance method, you need to have jobject to pass it to CallIntMethod. In this article, we told you how we extended the in-memory store example. 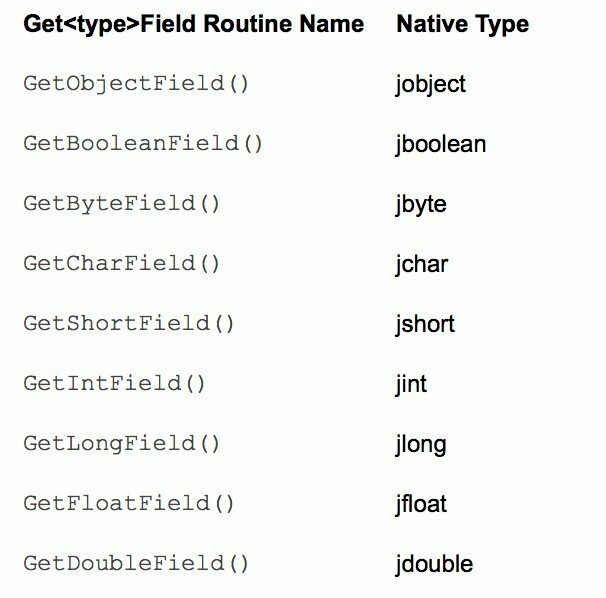 You found out how to receive a value from a Kotlin instance and Kotlin static fields in native code, how to use calling Kotlin methods using the CallStatic<Type>Method and Call<Type>Method functions, and how to create a new jobject in C/C++. Now you can easily work with Android NDK and the JNI using Kotlin instead of Java for Android development.